"The Voyage Of The Dawn Treader" centres on Edmund and Lucy Pevensie, along with their pesky cousin Eustace Scrubb. The trio find themselves swallowed into a painting and on to a fantastic Narnian ship headed for the very edges of the world. Joining forces once again with their royal friend Prince Caspian and the warrior mouse Reepicheep, they are whisked away on a mysterious mission to the Lone Islands and beyond. On this bewitching voyage that will test their hearts and spirits, they will face magical Dufflepuds, sinister slave traders, roaring dragons and enchanted merfolk. 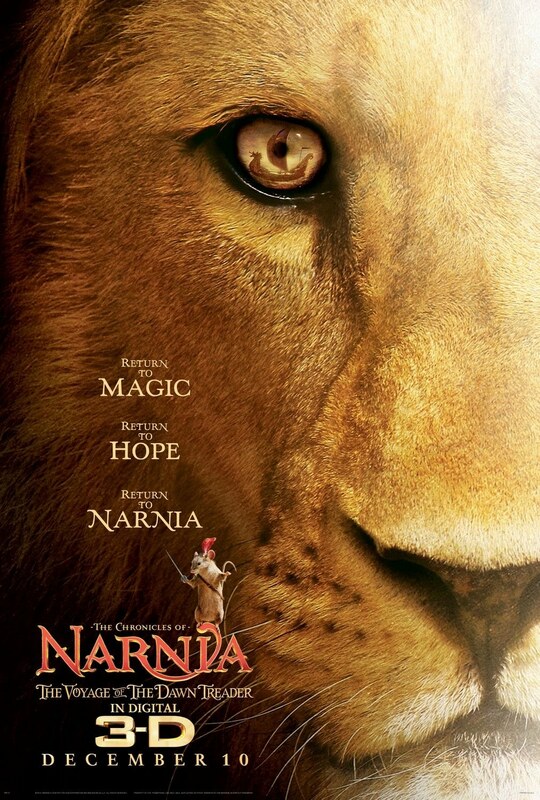 Only an entirely uncharted journey to Aslan's Country - a voyage of destiny and transformation for each of those aboard the Dawn Treader - can save Narnia, and all the astonishing creatures in it, from an unfathomable fate.